Rap Music: The Classy Brand Serial Killer? 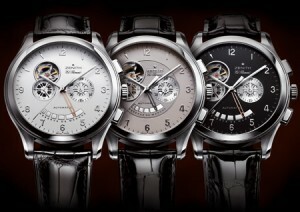 Christian Dior Watches – Impressive timepieces. Desirable jewellery. 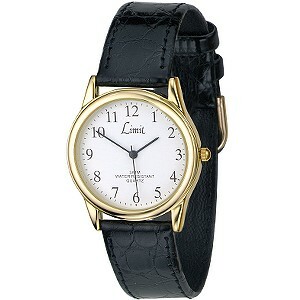 Designer watches. Sekonda Watches – Get Ready It’s Party Time! Sekonda Watches – Party Time Watches! The Rolex gave birth to a glossy, bling characteristic amongst watches. Tying in with the diamond flooded rap culture emerging throughout the 1990s and 2000s; the Swiss watch brand enjoyed a reputation of hipness and youthfulness. They had become a craze. However, short term success had been exchanged for longevity. What is young dies out with age and what comes up quickly, falls even faster. It’s one of those corporate things where they don’t wanna be associated or affiliated with a certain type of brand. A T.I. video ain’t the best look in their eyes right now. No harsh feelings. That’s a cold reality. But in reality, it’s a wise move by both clothing brands. As ruthless as it may seem, rap music has the ability to destroy any element of class a brand or clothing item may have. Just look at Gucci scarves a product Swing Ya Rag was in large based around. A combination of rap culture and unauthentic reproduction turned it into a fashion sensation amongst urban, hoodish young people the complete opposite of who Gucci are trying to target. It’s nothing personal, but placing ones brand into the hands of the urban, while it’s promoted by the same rappers that whether you like to admit it or not promote a life of guns, drugs and the subjugation and suppression of women; is brand suicide. Now there are two flipsides. The first is that many of these rappers aren’t promoting such lifestyles for the sake of it, and are plainly relating their life story. Furthermore, it ought to be acknowledged that many also promote other positive lifestyles some all the while endorsing that which is derogatory. Human beings are complex creatures and the beauty of rap is that it expresses all elements of our character the good and the bad. Nevertheless, when it comes to those who are taken for idols, the art of expression is the art of promotion. When a star claims to have a product or item of clothing, they are advertently or inadvertently endorsing it. Such is the power they behold. Some would argue that the matter doesn’t so much concern the rapper’s overall image, but the topic of the very song they promote the brand or product in. Swing Ya Rag contained a derogatory reference to women, while most of the time Rolex watches are promoted in rap videos it is in some way or another a tool for self glorification – a topic which violence, the subjugation of the female gender or drugs often goes hand in hand with in this genre. It is more necessary to note that by the time Gucci and Louis Vuitton disassociated their brands with T.I., the rapper had not only already been through his fair share of criminal charges. In fact earlier that year the he pleaded guilty to U.S. federal weapons charges. This would suggest that it may very well be the general image of a rapper, rather than the content of the music itself – even if the two can go hand in hand. However both Kanye West and Jay-Z are testimony to the refutation of this theory. Check both rappers’ collaboration with Louis Vuitton. Both are rappers whose lyrics at times entail such derogatory elements. What matters then IS the image of the rapper and how classy they themselves are marketed. Perhaps then, with the right Hip Hop artist marketing, rap music could become a good friend of major brands and great long term promotion tool. Ben Sherman watches made by the stylish British based Ben Sherman brand famous for designer shirts, suits and fashion accessories are popular the world over. 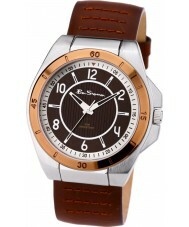 Founded in 1963 by Arthur Benjamin Sugarman, better known as Ben Sherman, the designer brand grew from high quality designer shirts to trendy accessories including the funky range of Ben Sherman watches available to purchase securely online through Watches.org.uk. 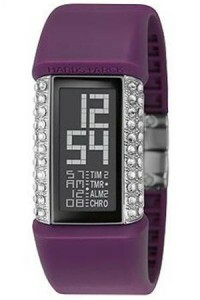 Philippe Starck watches are the fashion inspired watches from Parisian designer Philippe Starck. Creating provocative, expensive, exclusive designer watches that are streamlined, stylised and constructed using luxurious materials designed to make your watches feel slick and comfortable wrapped around your wrist. 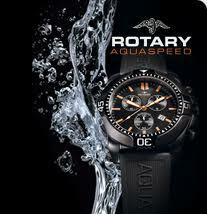 Kahuna watches are designed to be worn indoors, outdoors and almost everywhere you can think of. Taking their name from an ancient Hawaiian word which today translates to an expert in profession or shamanic standing Kahuna has evolved from these roots to the well known surfing brand we know and love. Mens watches fall into many categories and there are all different types of watches for men that range from smart, sophisticated watches he’ll wear to work to sporty divers watches with extra features and gadgets. 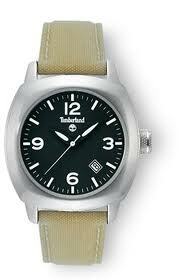 Timberland watches come straight from the rugged outdoor clothing, footwear and accessories brand we know and love which is The Timberland Company. With the iconic tree logo embossed in your mind from the last great outdoor adventure who could argue that Timberland watches are the ultimate outdoor watches. Rotary watches carefully blend classic and contemporary designs in their distinctive range of watches for the modern man and women. Affordable yet stylish Rotary watches seamlessly cross the old and young divide bringing a new collection of watches to today’s brand conscious sophisticated market of people who want their watches to embrace the test of time. 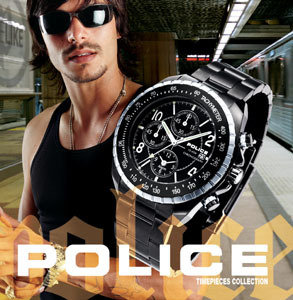 You won’t get arrested for wearing Police watches but it would be a crime not to investigate the latest range of these ultra cool watches ready made for today’s men and women. 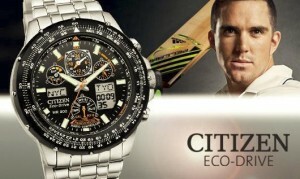 Citizen watches, as worn by England cricket star Kevin Pietersen, use ecologically friendly solar power to produce watches for men and ladies watches that are “fuelled by light” and “never needs a battery”. If you’re saving money after Christmas Watches.org.uk can help you find the perfect men’s watches, ladies watches and children’s watches for less than £20. There’s no excuse for not making time to choose the perfect watch either as Watches.org.uk has the unique Watch Finder and easy categories to select your next timepiece.